Zone CCTV are proud to supply and install the most advanced and reliable burglar alarms available on the market today. Whether it is for a domestic property or a large commercial venue, we can provide a tailored solution to ensure the site is fully secure. The alarm systems fully fitted start from £450. 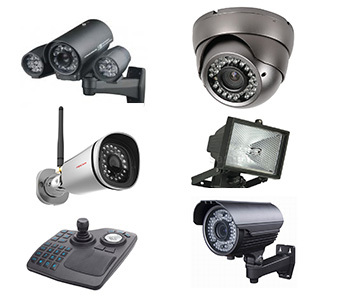 At Zone CCTV we take pride in keeping your property secure, so we will take the time to conduct a free site survey to make sure you get the right product for your property. Having seen many properties that have been broken into and the destruction it can cause, we have many years experience in spotting potential weaknesses around the building that could do with some attention to make it more secure. We go beyond just fitting any old alarm system, it has to be the right system leaving no potential vulnerabilities. Our engineers are very experienced and have been installing burglar alarms in Leeds for years. The alarm systems we supply and install use the latest wireless technology. The wireless signal which is used to connect the devices is known as multi channel frequency hopping. 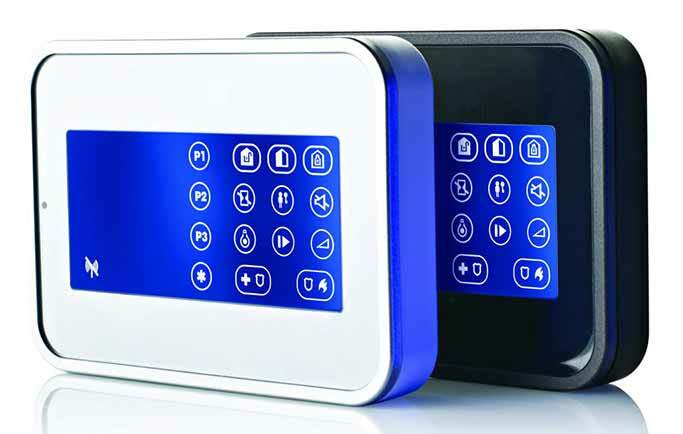 It is significantly more advanced and robust than your average wired alarm system. The variety of alarm sensors connect to the main control panel. The sensors can be positioned up to 6000ft away from the panel so all areas of the property can be covered. Also repeaters can be used to boost the signal strength if needs be. The sensors use secure low energy transmitters so batteries typically last up to 8 years. Up to 64 different sensors can be connected to each alarm panel. Another advantage of this wireless alarm system is that there are no wires to run! This makes fitting the alarm systems so much neater inside the property! For domestic properties with pets we have the solution! 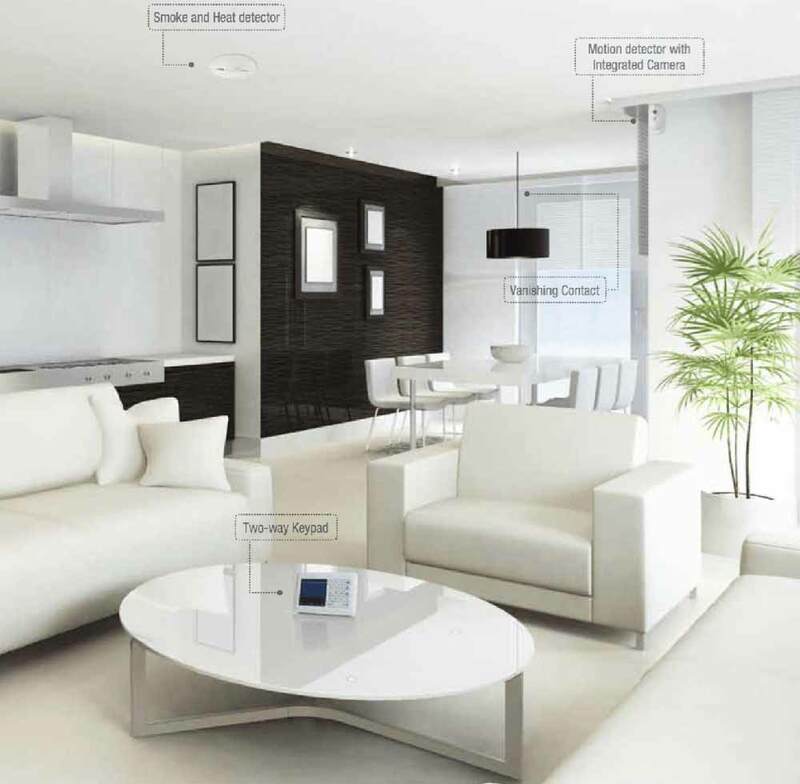 Animal friendly motion detection sensors can be provided. These enable cats and small dogs to be allowed in the house with out them setting the alarm off. Once the Burglar alarm system is installed, it is important that you stay updated with any alerts made by the alarm. By law, burglar alarms can only activate the outdoor siren for 15 minutes, then they are muted. As soon as any of the sensors are triggered you need to know immediately. There are 4 methods available to keep you alerted. There is an application available to be installed on your smartphone or tablet. If the alarm is triggered, a siren will sound on the mobile device. It can tell you which zones have been triggered within the property. The application also allows you to activate and deactivate the alarm system from anywhere in the world. The alarm system can have a sim card installed or be connected to a landline. If the alarm is triggered, the burglar alarm can be set to call a predefined phone number. An automated message will tell the owner the alarm has been triggered. Having a sim card installed in the burglar alarm ensures that a message can always be sent to the owner. There have been cases where criminals cut the phone line before they enter the property, so the alarm cannot communicate with a third party. The disadvantage of the alarm calling only one predefined number, is if that person doesn’t have any signal, they will not get the message. Again, the alarm system can have a sim card and be connected to the landline, but if there is an alert, a message will be sent to a remote call centre. The call centre will have a list of up to 5 family members, friends, neighbours and key holders. If the call centre cannot get hold of the first on the list, they will keep on ringing through the list until they speak to somebody. The key holder will be informed of the alarm status so they can take action immediately. Alarms can be fitted that will alert the police immediately if triggered. The police will attend the property straight away and deal with the break in. This is the most thorough service an alarm system can provide. Having this kind of piece of mind is invaluable, especially if you are away from the property for long periods of time. We can install panic buttons around the property which can call the call centre or straight through to the police. The sim cards we provide have a roaming functionality. This means if the signal drops on one network, they will jump onto the next network that has the best signal. The sim cards can connect up to 4 different networks to provide the best coverage. If you have any queries with regards to the burglar alarms in Leeds, please feel free to call us anytime. We can book a free site survey to give you more advice and an in-depth proposal. Do you have a faulty burglar alarm? Having trouble stopping a siren? No way to contact the alarm fitters? Don’t worry, if you are based in Leeds, West Yorkshire, we provide a 24 hour, 7 day a week burglar alarm service. We will turn up at your premises whether its a home or commercial venue and fix your faulty burglar alarm. Sometimes wireless PIR sensors can go faulty and they may need to be temporarily turned off and reset on the panel. Call us anytime and we will dispatch an experienced engineer.